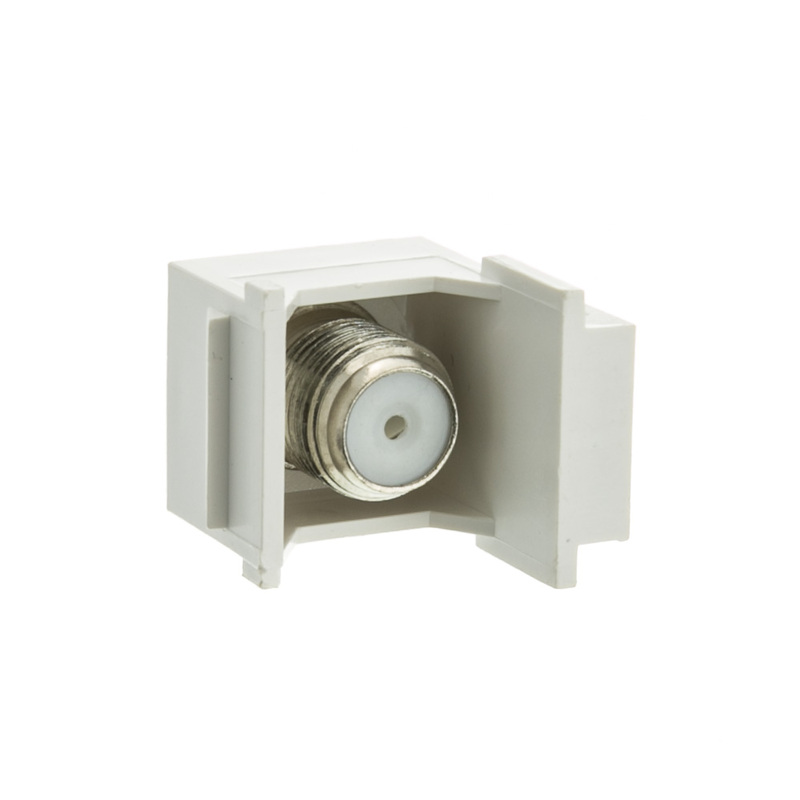 This insert works great to add a coaxial cable-tv-cable connection into any room of the home or office. This insert works with any of our keystone wall plates. Excellent product. Works extremely well. Complete junk! These are very poor quility . Many of the male center pins would not line up with the female pin. When connected, touching the cable would brake the connection and loose of signal. I finally tosed the ones I had into the trash. Not sure why but this version does not stay in place under light pressure from the coax in the wall box, seems to snap right in and then right back out ... I installed 12 of these and all of them were a pain! 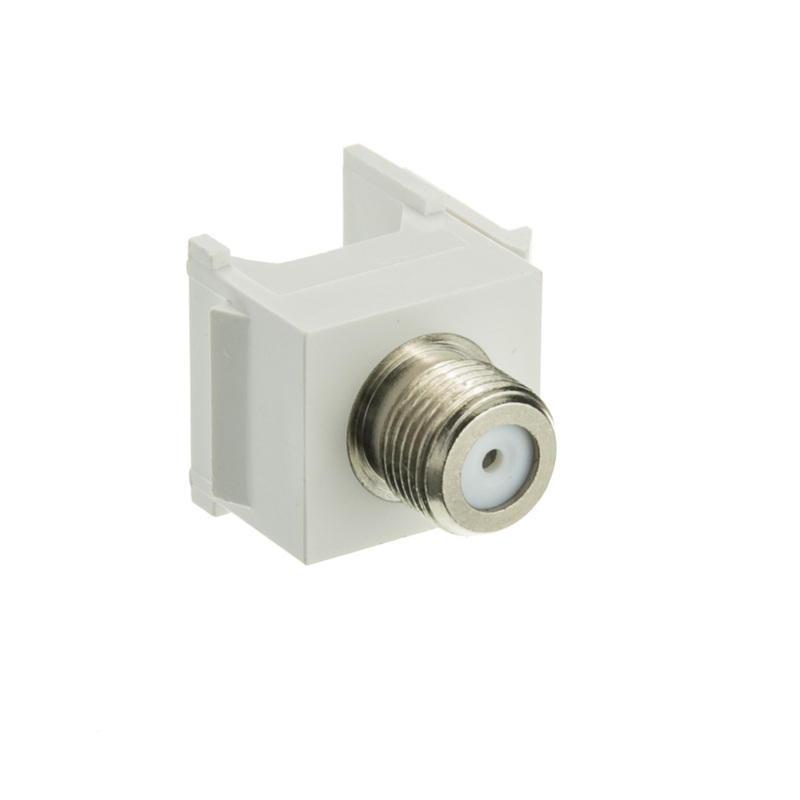 Enables DTV passthru -- plus for our installation needs. Holding up to high amp sattelite signals. Hope they last a while. I would have preferred a little more solid lock up into the opening, but this does the job. 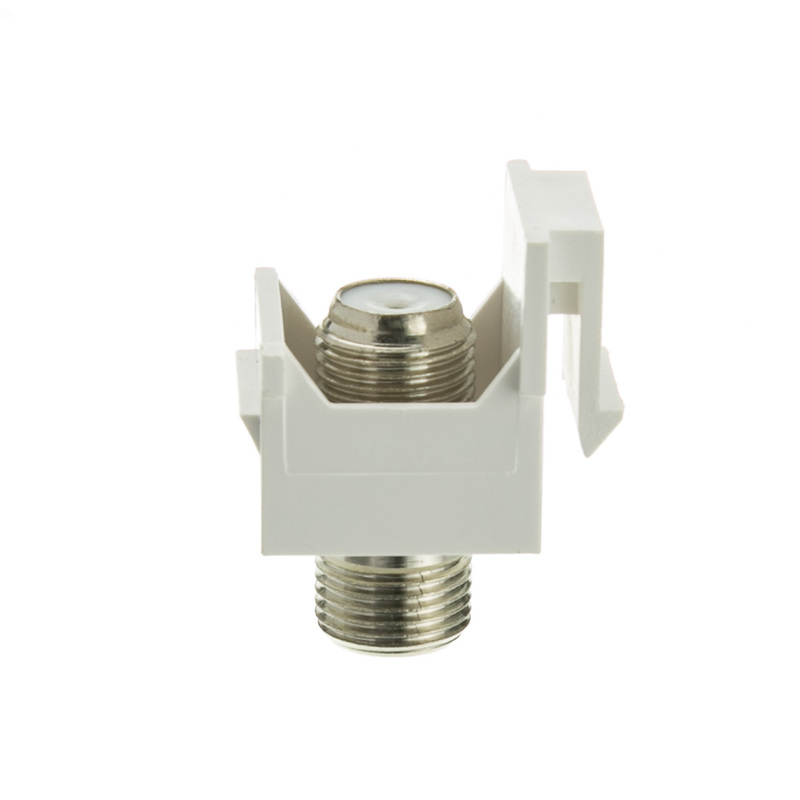 I was looking for a better quality coax connection. This one is just OK. Fine for the price, but I would have paid more for a better one.